It's the product customers have been begging us to do for years - an ERGONOMIC keyboard that gives you all of the tactile feedback, greater comfort, faster typing speeds, and quiet operation of a Matias mechanical keyboard. To put it bluntly, most ergonomic keyboards "cheap out" on their keyswitches. They use rubber, instead of metal. Compromising here can ruin an otherwise good keyboard. We've used the BEST keyswitches for typing... Matias Quiet Click mechanical switches. Their ALPS-inspired design delivers generous amounts of tactile feedback, while providing enough resistance to support the weight of your hands - exactly what you need for fast, comfortable typing. Plus, unlike every other mechanical switch, they are quiet enough to use in office environments. You don't need to worry about disturbing your co-workers. Navigation keys have always been a big problem for ergonomic keyboards. If you follow the standard, the keyboard is too wide. If you don't follow the standard, there's a long learning curve, and users are stuck having to suffer with an awkward, unfamiliar layout. We've arranged the navigation keys in their traditional pattern, but we laid them out horizontally, and then positioned them along the bottom row, more like a laptop keyboard. It works beautifully, and the adjustment time is virtually zero. Try it once, and you'll never want to go back. Thanks to our unique navigation cluster, the Ergo Pro is not as wide as other ergonomic keyboards. It's not much wider than a laptop keyboard. This makes it much more comfortable to use with a mouse. Since you're not reaching as far for it, your elbow doesn't need to flare out at an awkward angle. As you would expect, the Ergo Pro comes equipped with leg supports for 9� tenting and 4.5� negative tilt. It can also be used flat. The palm supports are big and comfortable. 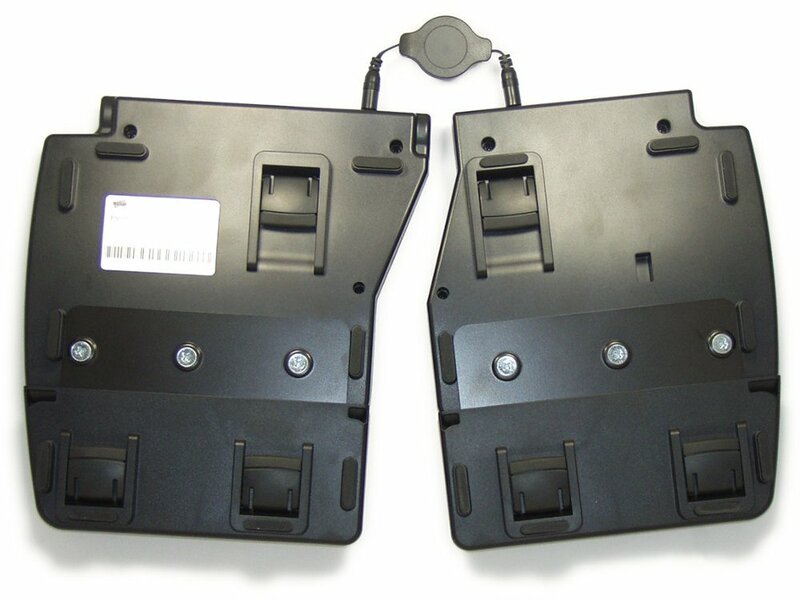 Plus, they can be removed, if your desk already has palm supports built-in. We've included everything you need in the box. There's nothing extra to buy. You are all ready to go. We've added dedicated hotkeys for the 3 most important keyboard shortcuts - cut, copy, and paste. Best of all, no drivers are required. Everything works, right out of the box. The Ergo Pro bucks this trend. It has traditional sculpted keytops, curved to fit your fingertips, and keep you from sliding out of home position. By holding down the Fn key, you gain access to strategically placed keyboard shortcuts for Volume Up / Down, Mute, Pause / Play, Next Track, and Previous Track. 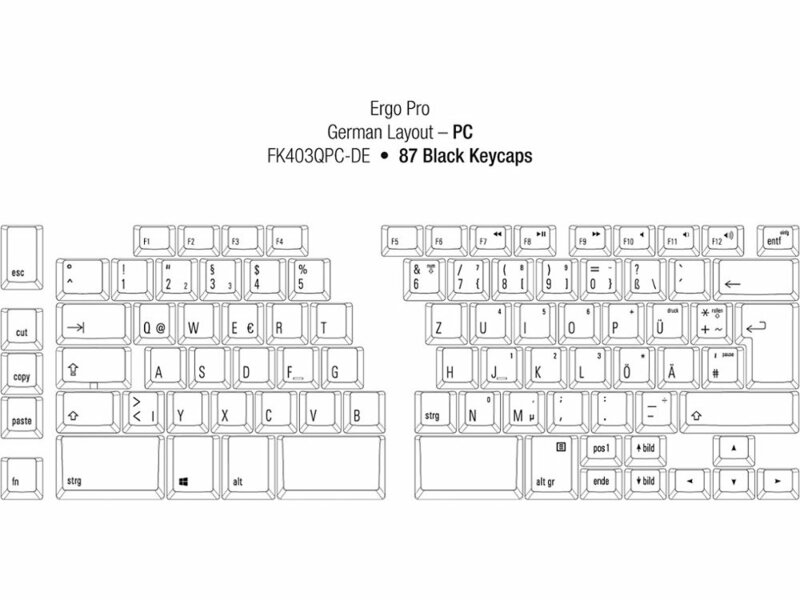 The Ergo Pro has special Anti-Ghosting Circuitry (also called n-key rollover) to eliminate these problems. 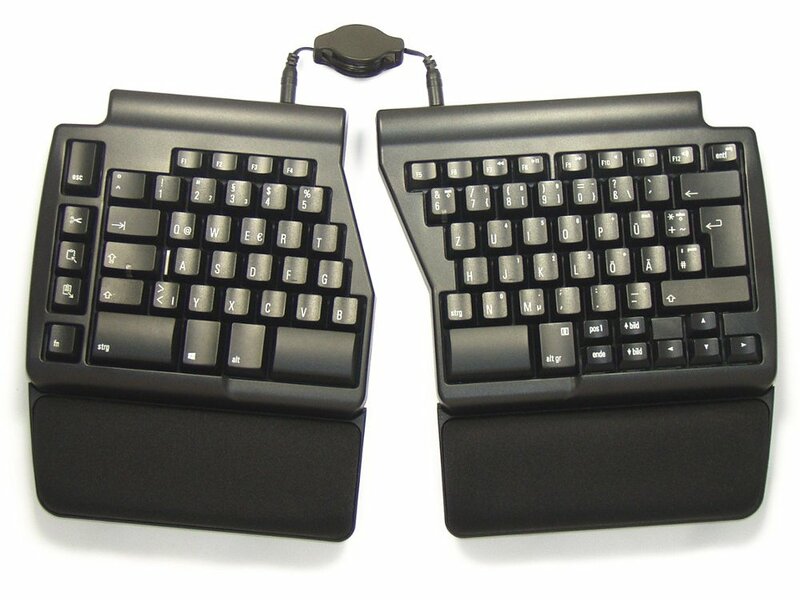 You can type as fast as you're able; the Ergo Pro will keep up.